Our luxury skin services include Waxing, Facials, Microdermabrasion, Dermaplaning, Chemical Peels. Enjoy the wonderful feeling of a skin healthy lifestyle with personalized treatments to get smoother more luxuriant skin! Our trained stylists will keep your locks looking fresh and on trend with a great cut and amazing color! Book your next appointment online today. It’s quick and easy! Leave us a great Google review! Have questions or need recommendations. We can help! Are you looking for a relaxing, upscale salon and spa in Manchester? At Elavina Salon And Spa, we feature all of the amenities of a big city salon and spa, without the big city pricing. Regardless of whether you are looking to update your look with a new hairstyle, are looking for a soothing facial, or would like to schedule a spa day with you and your closest friends, our friendly staff is here ready to assist you. Indulge yourself and book a hair, skin or combination appointment today by calling (603) 232-3448! When you visit our Manchester Salon and Spa, our friendly staff will be happy to discuss your individual needs and desires with you. Our wide range of beauty and rejuvenation treatments have made us one of the top salons and spas in the area and our customer service is second to none. 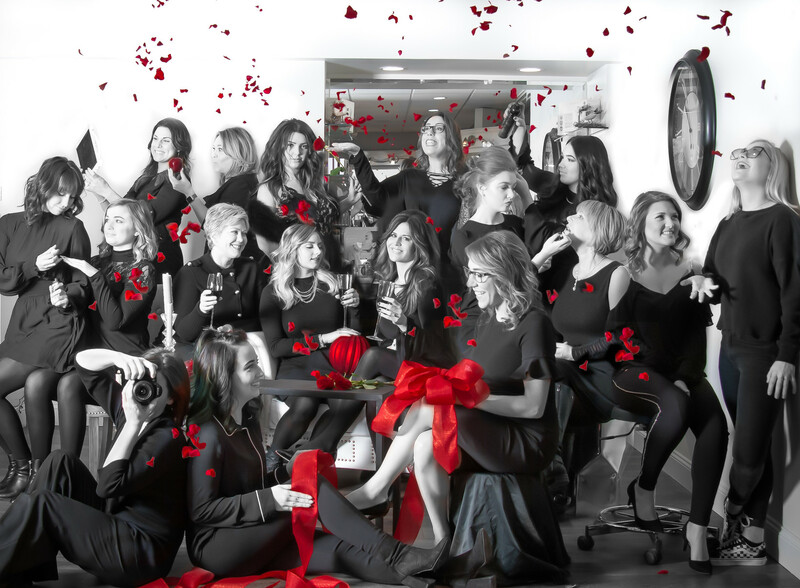 If you are living in Bedford, Amherst, or Nashua and have been searching for a salon and spa that will give you the undivided attention that you deserve, we recommend that you schedule an appointment with our professionals at your earliest convenience. Our spa and salon treatments do more than enhance aesthetics, they can also help you relax and detox. If you haven’t been to a spa in some time, you owe it to yourself to schedule an appointment with our Manchester salon and spa today! To get started, please contact our office at (603) 232-3448 now! Get a Gift Card Instantly with Elavina Salon and Spa’s E-cards! Need the perfect gift? How about a gift of relaxation or a gift of beauty? An e-gift card to Elavina Salon and Spa is ideal for holiday gifts, birthdays, anniversaries or any other special occasion. You can choose a dollar amount or a specific service. You decide – and we'll offer you a variety of designs to choose from. And a personal message can be included for that someone special. Just pick a design, personalize it and then email or print it instantly!